In celebration of our new venue section, we want to showcase the first venue to be on weddingfayre.co! Balmer Lawn Hotel is an iconic New Forest wedding venue, less than 2 hours’ drive from London and half an hour from the coast. The hotel has hosted many famous guests throughout history including King George V, Russian Royalty, J.J. Sainsbury, Winston Churchill and U.S. General Dwight D. Eisenhower. More recently, the Top Gear team filmed at the hotel, and countless Autumn Watch episodes are filmed around the hotel with the TV personalities staying at the hotel. 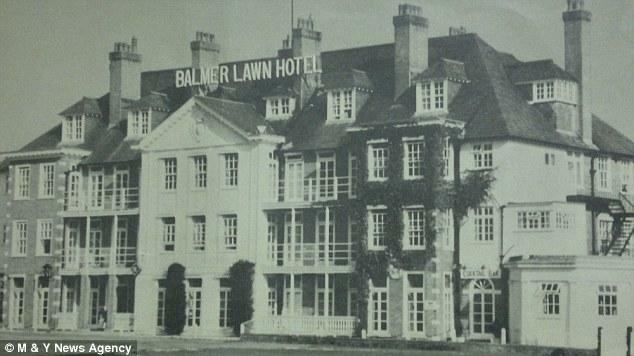 Here’s a picture of the hotel during the Second World War! Visit their listing to enquire and find out more.